We provide security when you need it. Millennium Protection Services is a growing company with 25 successful years in security and law enforcement support. We provide capable and dedicated security guards who have received exceptional training and education for their work. We provide the best working environment in the industry, because we believe that attracting and retaining professional, reliable, courteous, and committed individuals are essential to our success. 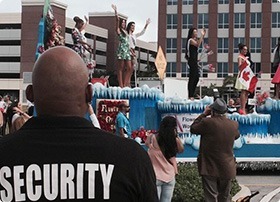 At Millennium Protection Services, our expertise in security extends to providing exceptional security and concierge services for any occasion – events at home, grand openings, Bar and Bat Mitzvahs, weddings, corporate events, restaurant openings, celebrations, and events, condos, hotels, stores, or offices. A security presence is a visual deterrent to anyone with a criminal agenda. 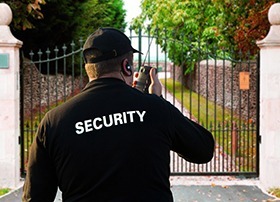 At Millennium Protection Services, our professional security personnel are state certified in private security and receive ongoing training for continuous improvement. Our staff are trained to maintain high visibility while on duty and to be observant of any unusual activity. Additionally, Millennium Protection Services personnel are trained in reporting disturbances and emergencies to the client and appropriate law enforcement agency. Let us do the work so you don’t have to worry. If you’re like most of our South Florida customers at Millennium Protection Services, you don’t want your security solution and detail to be a major issue for you, your property, or your concerns. 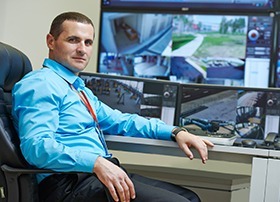 When you select a security firm like Millennium, you’ll get state of the art monitoring, high‑quality guard service, innovative and integrated equipment, products, and services that are second to none. You get to take advantage of on-site security personnel as well as the best in security technology products and services. If you’re in need of reliable, high-quality guard services, personal protection, event security, or the purchase and sale of security products like cameras, access points and cards, then Millennium Protection Services can fulfill your needs. With our aggressive recruitment of the finest candidates, our thorough, comprehensive background checks and continuous training, and our supervisory system that promotes accountability, Millennium Protection Services is leading the way in quality and value.